There’s a field full of flower delivery services to choose from these days from the old school 1-800-flowers and FTD to startups popping up over the last few years like BloomThat, Farmgirl Flowers, UrbanStems and The Bouqs. That last one just raised $24 million in Series C financing, bringing the total now to $43 million. The Bouqs doesn’t quite roll off the tongue but that fresh new funding puts it at the top of the heap in capital raised among on-demand flower startups. Like its competitors, the Los Angeles-based outfit delivers Pinterest-worthy bouquets at the click of a button. The difference being The Bouqs gets its supply directly from the farm, cutting out costs from middlemen and bringing you flowers that last longer. The financing was led by new investor Partech Ventures. Other newbies to the round include Tekton Ventures, NextEquity Partners and Reimagined Ventures. Existing investors Azure Capital Partners, KEC Ventures, Quest Venture Partners, and Shark Tank’s Robert Herjavec (who first laughed at the valuation during The Bouqs initial presentation to the Sharks, by the way. So, entrepreneurs, don’t give up hope!). Cuvva, the Scottish startup that reckons it’s spotted a gap in the market by offering hourly car insurance sold through a mobile app, is set to launch a novel and potentially disruptive new type of car insurance designed for infrequent drivers. …Cuvva is announcing £1.5 million in new funding, in a round led by LocalGlobe, the VC fund founded by father and son duo Robin and Saul Klein. The startup’s other backers include Tekton Ventures, Techstars Ventures, Seedcamp, Nick Hungerford (founder of Nutmeg) and Ian Hogarth (founder of SongKick). Cuvva has raised £2 million since being founded in late 2014. Drone delivery startup Flirtey has raised $16 million in Series A funding to bring its high-flying service to new customers, companies and possibly countries. Earlier, the startup raised $120,000 in seed funding and participated in the Y Combinator accelerator. Flirtey was also the first company to attain FAA approvals to conduct a drone delivery in the US in 2015. That fact helped it land one of its drones in the Smithsonian’s National Air and Space Museum, a milestone that CEO Matthew Sweeny calls a “kittyhawk” moment for the startup. Flirtey’s Series A round was led by the company’s seed investors, Menlo Ventures and Qualcomm Ventures, and joined by Tekton Ventures, Chris Sacca’s Lowercase Capital, Y Combinator and World Innovation Lab, a firm that counts among its limited partners the Japanese airline ANA, Goodwater Capital, Amity Ventures and Partech Ventures. SAN FRANCISCO, Dec. 15, 2016 /PRNewswire/ — Today, Memebox announced it had raised $60M in a Series C extension round. Led by new and existing investors including Goodwater Capital, Altos Ventures, Tekton Ventures, Cowboy Ventures, Mousse Partners, Formation Group, Funders Club, Pear Ventures, Cota Capital and Janet Gurwitch, the round is an extension of the $66M the company raised in its initial Series C. The round brings the company to $160M raised since it was founded in 2012. The additional investment will allow Memebox to continue to invest in streamlining its mobile shopping experience, develop a database of beauty ingredients and products, and build out its global operations for efficiency as the company grows its global footprint. Hyperloop Technologies Inc., a Los Angeles-based company building a futuristic transportation system, said it raised $50 million in convertible-debt financing and hired Uber Technologies Inc.’s former chief financial officer. DP World Group of Dubai, one of the world’s largest ports operators, led the funding round, with its chairman and chief executive officer Sultan Ahmed bin Sulayem taking a Hyperloop board seat. 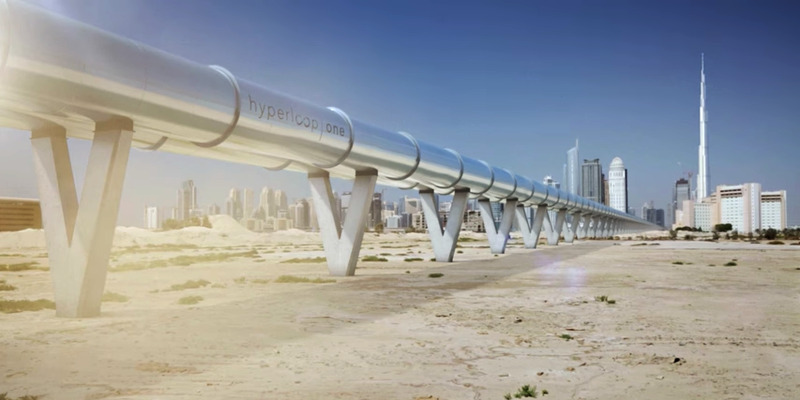 The company, known as Hyperloop One, has now raised $160 million. 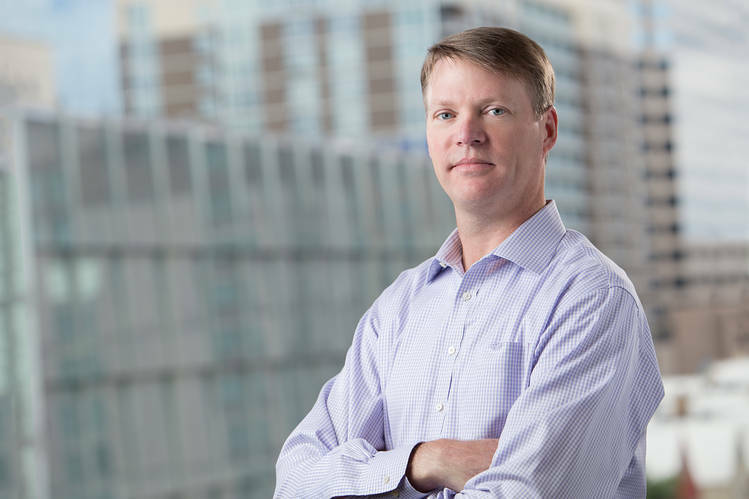 CEO Rob Lloyd, a former Cisco Systems Inc. executive, has made finding a chief financial officer and new strategic partners top priorities since joining the company last year. Hyperloop One already works with organizations such as French railway SNCF and engineering giant Arup Group. The new hire, former Uber CFO Brent Callinicos, will serve as a full-time strategic adviser, the company said in a statement. Previously, he worked as vice president, treasurer, and chief accountant at Google, and also held various roles in finance at Microsoft Corp.
Uber and Hyperloop share an investor in Sherpa Capital’s Shervin Pishevar, who co-founded Hyperloop and is a board observer at Uber. TapFwd, a mobile data marketplace founded by two LiveRamp vets, raised a $3 million seed round led by Partech Ventures with participation from previous investor Tekton Ventures. TapFwd matches online and offline data sets to mobile device IDs and then sells these data sets to help advertisers target campaigns. The rough analogy is “a BlueKai built from the ground up for mobile,” said TapFwd CEO Alex Wasserman. By including data that marketers want to use for targeting, such as automotive, financial, purchase history and demographic data sets, TapFwd plans to accelerate the use of mobile as a platform for brand advertising, not just performance advertising. “Person-level targeting in desktop has been around for awhile, but on mobile it hasn’t been around except for Facebook,” Wasserman said. A startup called Gfycat (which is pronounced “Jiffy Cat”) has raised a mammoth $10 million seed round to turn its already popular user-generated content platform into a revenue generating concern. On the content creation side of its business, the startup reports that 2.5 million unique users have already created 25 million “Gfycats,” or short, silent, looping animations and video clips. Gfycat also boasts 75 million monthly active users on the viewer side of its platform, who watch 1.5 billion user-generated GIFs and clips there per month. CEO and founder Richard Rabbat said the clips are not technically the same as GIFS. Technically, the company’s site is a Webm host that lets people convert videos into short-form, shareable, looping and fast-loading clips. “My cofounders and I were avid GIF creators but just found them hard to make, slow to upload, and when you shared them, the quality wasn’t very good. We wanted to make it easier to upload a video, say this is the part I want to turn into a GIF and then to share it,” he explained. Gfycat is already ranked as a top 100 site in the U.S. by Alexa, however it is not yet generating revenue. A repeat media entrepreneur, Rabbat started the company formally with Dan McEleney and Jeff Harris in 2015. Online merchants spend a lot of money on chargebacks, which are demands by credit card providers to reimburse for fraudulent charges. That’s why Signifyd created technology that assesses a transaction risk before the card is processed. The San Jose-based company is raising $19 million in financing for its fraud protection services. Investors include Menlo Ventures, TriplePoint Capital and American Express Ventures. Many e-commerce businesses do not have the resources to screen for risky transactions, so Signifyd’s financial guarantee has allowed them to secure clients like Jet.com, Lacoste, and Peet’s coffee. Signifyd says it has developed machine learning capabilities that are accurate enough for them to feel confident reimbursing the merchant on the rare occasions when its predictive technology is wrong. Petnet, the leader in personalized feeding for pets, today announced it raised a $10 million Series A financing round, led by Petco. With the new funds, Petnet will continue to expand its product line, develop its pet food delivery service, and enhance its infrastructure. Beginning this week, Petnet’s SmartFeeder ($149) and SmartBowl ($49) are available at select Petco stores nationwide and online at Petco.com. Some of the world’s biggest companies—Amazon, Google—are itching to make commercial deliveries by drone, but a pizza restaurant may beat them to it. On Thursday, Domino’s Pizza Enterprises—an international franchiser of the Domino’s Pizza brand—conducted a demonstration of pizza delivery by drone in Auckland, New Zealand as it stated its intent to be the world’s first company to launch regular drone delivery. ApolloShield, which was originally incorporated as Airfence Inc., has launched an anti-drone system that detects drones flying where they’re not authorized or wanted, and forces them to fly home. The startup intends to sell its technology to owners or managers of venues that have intense security needs such as oil refineries, nuclear facilities, airports, prisons, stadiums or hotels and buildings where high-net worth individuals or public figures may reside. Co-founders Nimo Shkedy (CEO) and Gilad Beeri (CTO) explained that the ApolloShield system includes a unit installed on the ground that contains a radio and antennae. Each unit scans an area for drone communications. Just eight weeks after raising $24 million in a funding round led by Mark Zuckerberg’s foundation, Andela, one of Nigeria’s best-known startups, is saying goodbye to its co-founder Iyinoluwa ‘E’ Aboyeji. Aboyeji, the face of the high profile Lagos-based coder training company, is now starting a new startup called Flutterwave, a digital payments infrastructure platform that will aggregate various payment methods for merchants, banks, and money transfer operators across Africa. Payments has been one of the biggest challenges for Africa’s fledgling e-commerce market and Aboyeji, 25, whose previous startups have focused on the education and training sectors in the past, believes solving the payments challenge for merchant partners across the continent could unlock billions of dollars in value. Memebox, an e-commerce company specializing in beauty products from Korea, has closed a significant $65.95 million Series C funding round to fuel further expansion. The financing was led by new investor Formation Group, with participation from returning backers Tekton Ventures, Goodwater Capital and Pejman Mar Ventures. The deal takes Memebox, which graduated Y Combinator in 2014, to $95 million from investors to date. Its $17.5 million Series B round closed in March 2015. Forget food delivery. Just the organic slice of the grocery delivery business remains competitive in the U.S. with giants from the brick and mortar world, tech titans and upstarts all muscling in for a piece of an annual market that sees more than $40 billion in sales domestically. Some have flamed out, like Farmigo, which recently closed shop. And others done some belt-tightening, like Good Eggs. Now, a relatively young player called GrubMarket has raised $20 million in a Series B round of funding to pull ahead of the pack. The company employs about 25 full-time today in San Francisco with another 20 employees in Los Angeles, where the company expanded its service earlier this year. Seattle-based smart light switch builder Deako has raised $3.5 million in funding, and its technology will be used in close to 10 percent of new homes built in the Seattle area next year. With the latest funding, Deako has now raised close to $6.8 million in the last eight months, according to a filing with the U.S. Securities and Exchange Commission. Co-founder and CEO Derek Richardson said six venture capital firms from Silicon Valley, New York and Chicago have invested in Deako so far, but he would not name them. The company says it has just finished up an alpha test and has refined the interface and added the ability control any light in a house with any switch. Users can also control lighting through a smartphone app.Deako’s customers are not home-buyers but rather home-builders and their electricians, who install the hardware in new homes. Richardson would not say which home-builders he is working with, but he said the number is in the double digits. Ifeelgoods, a startup that manages the digital rewards programs of brands like Samsung and Gap, announced today that it scored a $6 million investment. France-based recruiting company Up Group led the financing round, putting $3 million on the table. As part of the investment, Ifeelgoods made “an exclusive distribution agreement” with Up Group. “Ifeelgoods platform will help to enhance UP Group products and solutions and offer to its clients the largest international digital rewards catalog as well as a unique tool to build campaigns within a few hours,” the startup explained. Idinvest and Tugboat Ventures, previous Ifeelgoods investors, also participated in the round. To date, Ifeelgoods has raised at least $17 million. When Steve Carlson, chief executive of emerging online lender Ascend Consumer Finance Inc., considered fundraising this year, he realized the market wasn’t nearly as receptive as a year ago, when his startup received a $1 million equity seed round. The sector has been beset by problems this year, including lower demand from debt investors for loans originated by alternative lenders, to the ouster of the chief executive at LendingClub Corp., one of the largest online lenders. So Mr. Carlson opted to take new money in the form of a convertible note, rather than equity. “My current investors came to me and said, ‘In today’s market, let’s move this fast, let’s not quibble over any of the valuation,’ ” he said. Convertible notes convert into equity at a later date, when a new funding round typically sets a valuation. And so San Francisco-Ascend became one of the few online lenders to raise new capital this year. It raised $11 million in new funding, the company told The Wall Street Journal. About half of that was in the form of debt to be used to underwrite loans; another half was in the form of convertible notes from OCA Ventures, Mucker Capital, Partech Ventures, Tekton Ventures, Cendana Investments, as well as the venture arm of Securian Financial Group. Monster.com announced this morning it has acquired the San Francisco-based startup Jobr, which had been developing a job-finding app the company described as a Tinder for jobs,thanks to its use of swipe-based gestures. Deal terms were not disclosed, but Jobr had raised $2 million in seed funding in 2014. The app is not being shut down, but will rather be integrated with Monster’s platform further, though it already featured Monster.com job listings prior to this deal. Jobr was not the only company with the idea to pursue a Tinder-like job hunting app. Others, including a direct competitor Switch, were focused on similar concepts. Gurgaon-based Oku Tech Pvt Ltd, which operates a mobile collaboration startup for real estate brokers under BroEx, has raised Series A round of funding from existing investor Lightspeed Venture Partners and a clutch of new investors. The startup raised Rs 21.37 crore ($3.22 million) from Blume Ventures, Lightspeed, Tekton Ventures, GrowX Ventures and CyberAgent Ventures, according to VCCEdge, the data research platform of VCCircle. A report co-authored by Google this week tipped Southeast Asia’s internet economy to grow six-fold to reach $200 billion annually in the next decade, with e-commerce set to account for over 40 percent of that figure. But, with a cumulative population of over 600 million, the region is already seen as lucrative opportunity for many online retailers — among them, Alibaba recently invested $1 billion in Rocket Internet-backed Lazada. Althea, which was launched in July 2015, aims to take advantage of the popularity of Korean culture — such as K-Pop and Korean drama series — in the region. Founded by ex-Ticket Monster duo Frank Kang and Christopher Cynn alongside CFO Jae Yoon Kim, the Korean startup sells to consumers in Indonesia, Malaysia, Singapore and Philippines with plans to enter Southeast Asia’s two other major markets — Thailand and Vietnam — before the end of this year. This new funding round is provided by a range of investors that include Mirae Asset Ventures, Posco Ventures, 500 Startups, Tekton Ventures and Cherubic Ventures with the aim of carrying out that market expansion, adding to the company’s 25 staff with new hires, and investing in marketing and logistics.